With this list of affordable Palawan resorts and hotels, budgeting for a vacation will not be too much of a head ache. Listed below are the Tipid resorts and hotels Seacologia Travel and Tours wants you to take advantage. Better book now for easy and hassle-free reservation. Contact Seacologia Travel and Tours today for reservation. 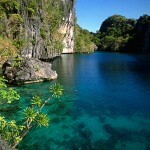 Let’s enjoy Palawan at its best!